in order to protect the walking surface from wind and weather. We exclusively use high strength materials. 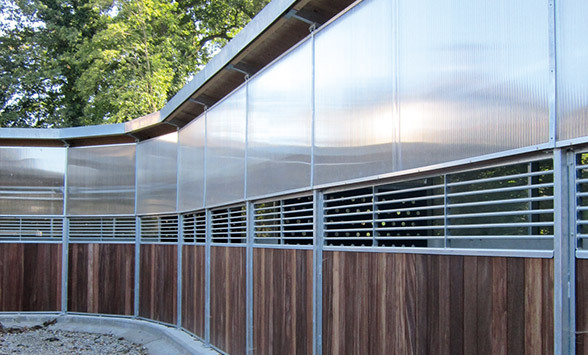 Advantages from KRAFT wind screens: Wind screens are pre-fabricated with reinforced seams. 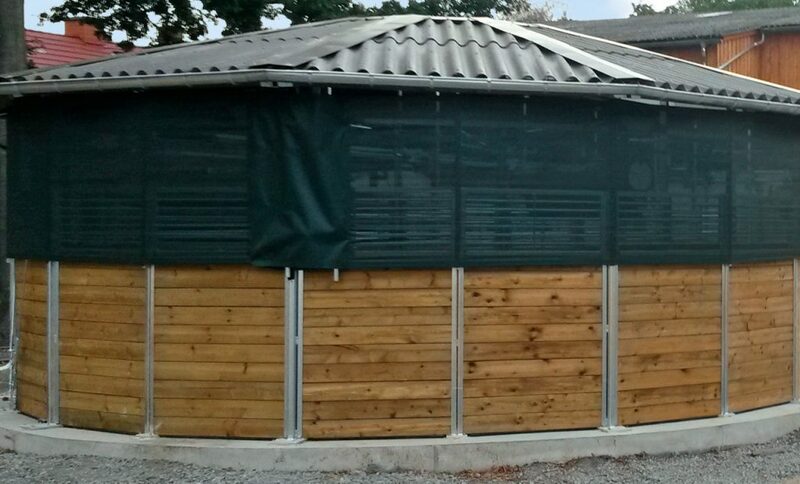 customize it to fit your roof and fence. top of the wood fence on up to the roof. is stretched horizontally around the horse walker. 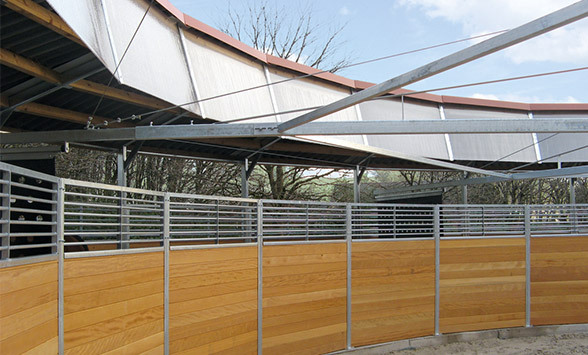 – Designed to fit our horse walkers! edge of the inner roof and at a 90 degree angle.